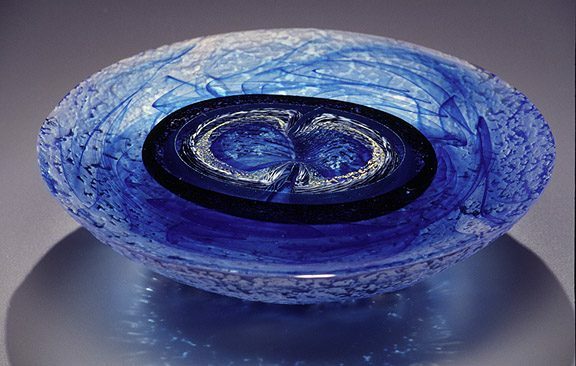 In the mid 1990s I became interested in developing a range of limited edition handblown vessels focusing on function, simplicity and beauty, and formed CB Glass to separate this work from my one-of-a-kind pieces. Most of my one-of-a-kind work requires such an investment of time that I can’t even afford to own it myself. I did not want people to have to take out a second mortgage on their house just because they fell in love with a piece of glass. 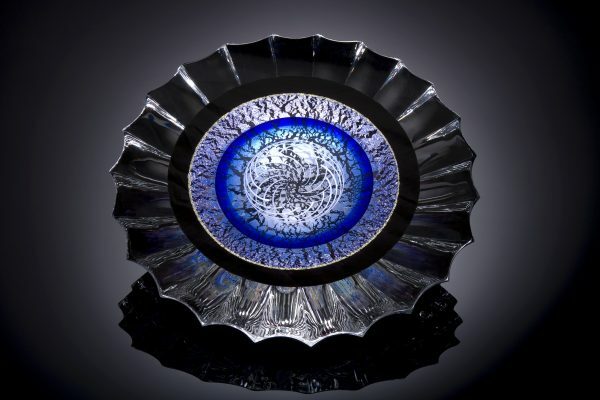 This challenged me to apply my skills as both a craftsmen and designer to produce glass vessels that are more affordable while still being beautiful and unique objects. 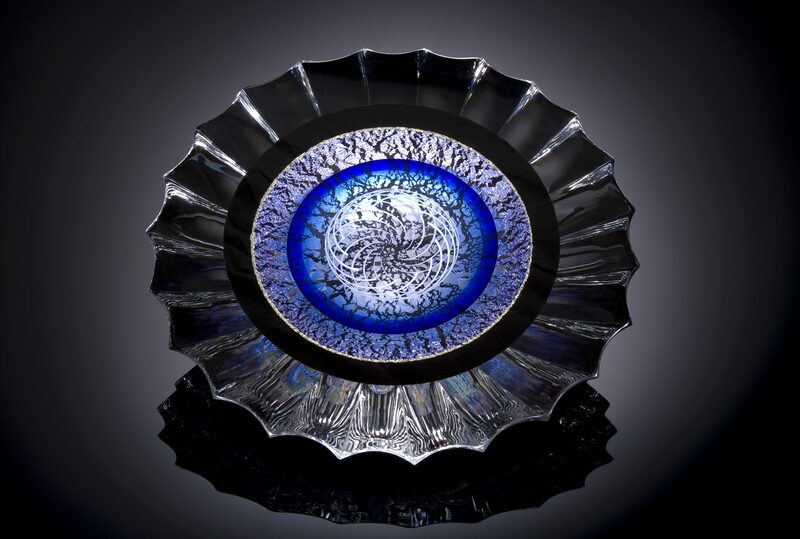 Some of my vessels use opalescent glass, often with flakes of color like confetti falling through the air. Normally, opaque glass has a heavy and solid feeling to it. 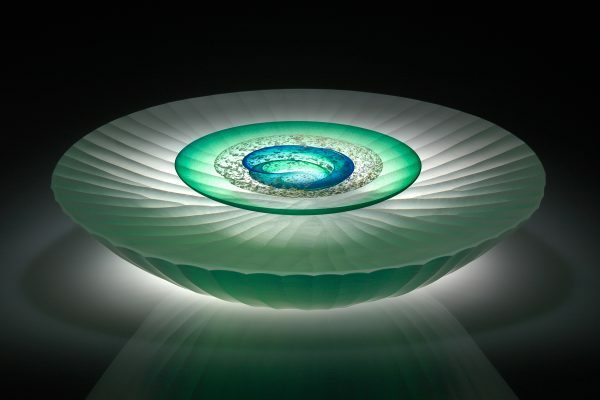 I was fascinated by the challenge of working with opal glass and still maintaining a light and airy quality. My work is divided into two main groups. 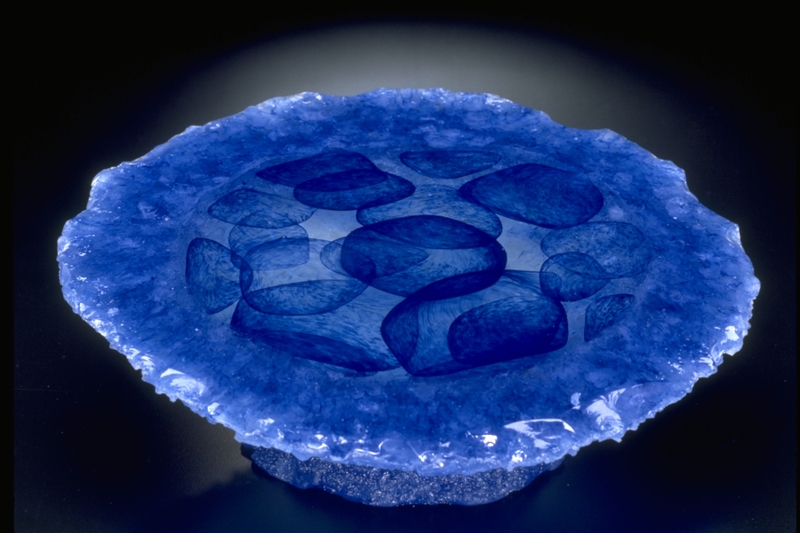 As I make one-of-a-kind handblown or cast glass pieces in three different series, the Geode/Fragment series, the Stone Vessel series, and the Stone Groupings series. As CB Glass I make limited edition production handblown vessels.